My kids reminded at supper tonight that bubbles are super fun. Yeah bubbles have been done a hundred times but hopefully not like this. 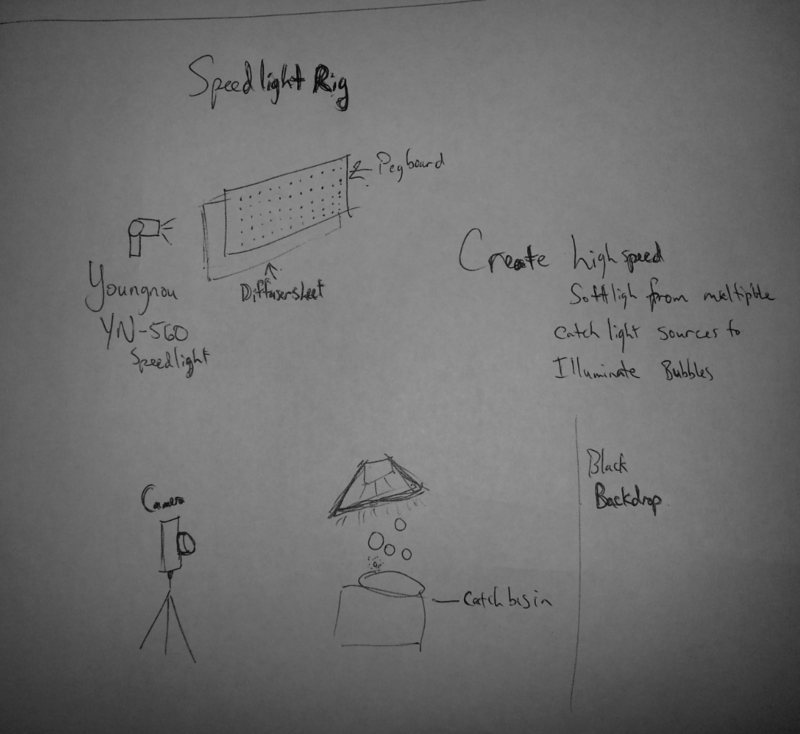 I have decided to reuse an old backdrop and repurpose it as a lighting modifier. My epic selfy (you can take a tour through the archives) used a pegboard as backdrop and since I love making my own lighting modifiers I decided to reuse it to make a cover for a speedlight. With this set up I should be able to freeze bubbles midair. I hope to capture one popping but with no timing rig I think this is pretty unlikely. Wish me luck. I’ll post a quick shot of the setup as soon as it is ready. Only 6 hours to go. This one is going to be tight. This entry was posted in 2014 Photo Project, Planning, setup, Storyboards and tagged bubbles, flash, highspeed, light modifier, photography, setup, speedlight. Bookmark the permalink.